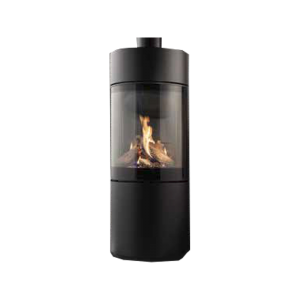 The Christon 750 offers you a panoramic sensation; the view of the fire through a wide glass is breath-taking. 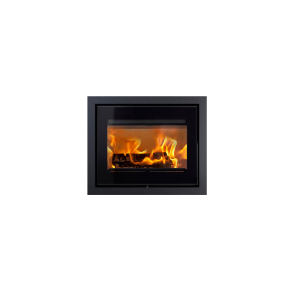 An inset fireplace provides a romantic, welcoming atmosphere and creates unforgettable moments for you and your family. 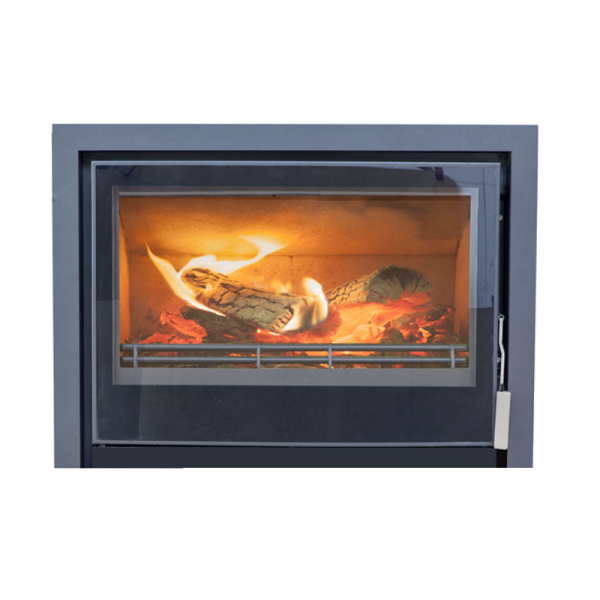 The large insulated chamber will accommodate a log up to 60cm long and the steel constructed box within a box design provides good airflow around the fire box allowing convection heat to be distributed effectively to the room. 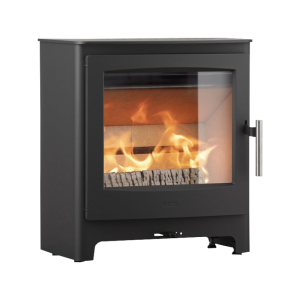 If you are looking for a different vision and innovative design, this is the right choice for you. 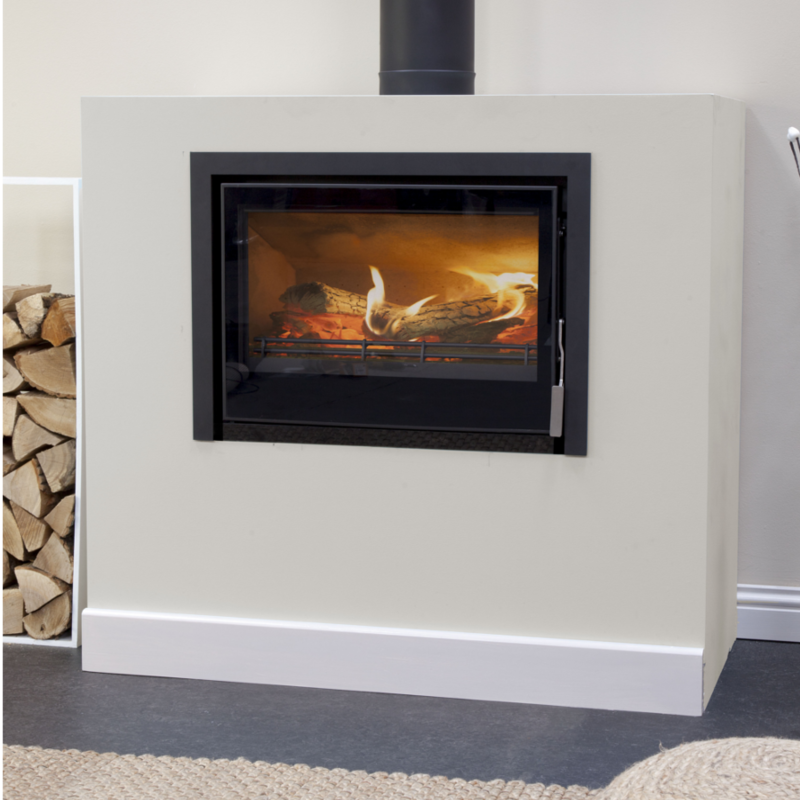 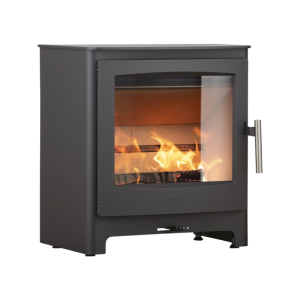 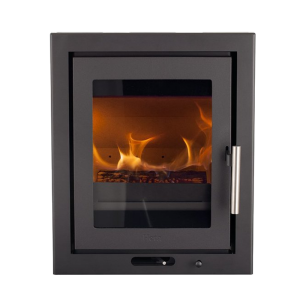 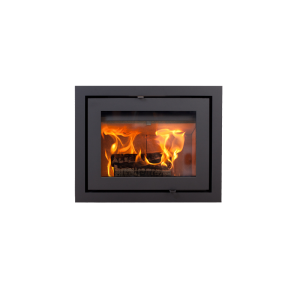 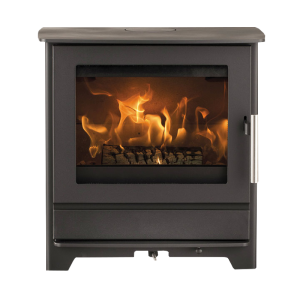 The clean smooth looks of the front of a Christon stove are complimented by the choice of a 3 or 4 sided frame which allows the stove to be fitted on a hearth or set up high in a flush wall application.